"Guesthouses and cheap hotels in Bangkok Thailand"
Looking for rooms in Bangkok? Find budget hostels, mid-range guesthouses and cheap hotels in Bangkok, especially Banglamphu area! Banglamphu is the backpacker territory in Bangkok. Most travelers spend their nights at guest houses in neighborhoods like Soi Rambuttri (SR) and around Khao San Road (KSR). Soi Rambuttri is better because it's vibrant, and not as loud and crowdy like Khao san road. If staying in Soi Rambuttri, you'll still have access to numerous food stalls, shopping and travel agencies. So, you should definitely try staying around Soi Rambuttri! We got a clean room with air-con and hot water on the first floor. The service was OK. They did their job (booked us a room, did our laundry), but they weren't attentive or smiling at all. Still this place is popular! A good thing is that it's tucked away in a narrow alley, but it's only a 10-second walk to the vibrant Soi Rambuttri. They also provide laundry service and internet access (need coins for this). It gets full points for location, and it only takes 5 minutes to walk to Khao san road. My double AC-room was spacious, clean, came with TV and the attached bathroom came with hot water. My room was a little rundown, but all in all the room was good. Rambuttri is a popular guest house, and it was always full when I was there. It's popular because of the rooftop pool! I stayed at Rambuttri twice and loved their pool. Having access to a swimming pool at a cheap rate in Bangkok is a blessing. Location is excellent: Rambuttri is located just half a minute from the food stalls and shops on Soi Rambuttri, and 5 minutes from Khao San Road. If you want to lock your important documents, like passport and tickets, they provide safety deposit storage. Some travelers have experienced that the staff was rude, but I didn't feel that way about them. They were effective, and helped me with my laundry and booking a room for a friend who was coming later in the evening. Updated in May 2010: Rambuttri Village Inn is still very popular. Still clean, and still the same hard bed. If you want cheap Bangkok accomodation, I suggest you crash at My House! Cheap and clean rooms, some with attached bathrooms. At nights, they show movies in their comfortable sitting area! :-) But you get what you pay for! 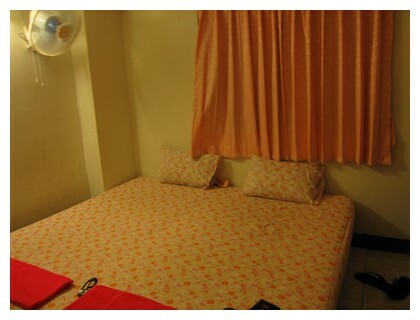 Updated on May 7, 2010: Our room (202) was very basic and cost 500 B. It had air-con which didn't function properly (it seems like they never do on low-budget places), fan, attached bathroom, thin walls and clean enough. Internet downstairs cost 45 B per hour. Want to spend a couple of nights at a hotel in Bangkok? Try Royal Hotel - only a 5 minutes walk to Khao san road. After been traveling in India for almost one month, we decided to book a room at Royal Hotel. My travel partner had stayed here before so there was no doubt from her side that we were going to crash there a couple of nights! Our double room was large and very clean, came with all the typical hotel amenities: TV, refrigerator, laundry service and so on. Hot water and air-con was of course included, and we had a killer view of Bangkok. Staff was OK. The older lady working at the reception was smile less, but the bell boys working at the hotel were warm and friendly. I would stay at Royal Hotel again just because of its location. It's only a couple of minutes from the hassle on Khao san road, and at the same time it's safeguarded from the noise and pollution. If you have booked with Kilroy Travels, they have a small office near the reception right by the entrance. This was perfect since we wanted to rearrange our flight tickets. Sawasdee Group has several Sawasdee hotels scattered around Bangkok, and many of them are on Khao san road. Standard price for a double room with air-con and hot water was 700 B, but since it was low season we got 20% discount and paid 560 B. It also included free breakfast which was from 7.30 am to 11 am. We stayed here for one night where the best part was their soft bed! Our room (101) was very small and it was hard to find a spot for our backpacks since a fridge, a TV, an air-con and a sink was occupying the wall space. Otherwise it was fine. Location is very good - it's central, but at the same time tucked away from the noise and hassle in Banglamphu area. 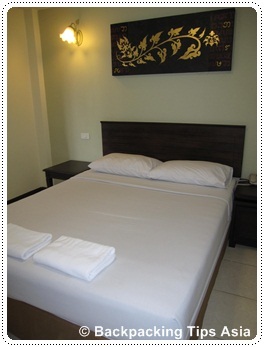 Room photos are picked up from the websites of respective hostels and hotels. Have A Great Tip on Where to Sleep? Got any recommendations for where to sleep in Bangkok? 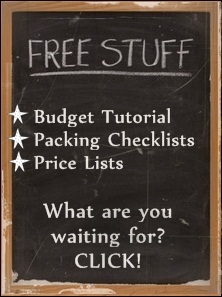 Or maybe you own a guesthouse and want to promote it? Share your story, tip or review of the guesthouse/hotel you like! Tell us: What did you like/not like about the guesthouse you stayed at in Bangkok? How was the service? Did you meet fellow backpackers? I stayed at Nappark hostel in Bangkok - the most amazing hostel I have stayed in during my Thailand trip. And it was at the end of my trip so it was just perfect. Fun and games at the hostel was a great 'ice breaker' and wish I stayed here at the beginning of my trip! I met some awesome people here.